It’s back… and better than ever. 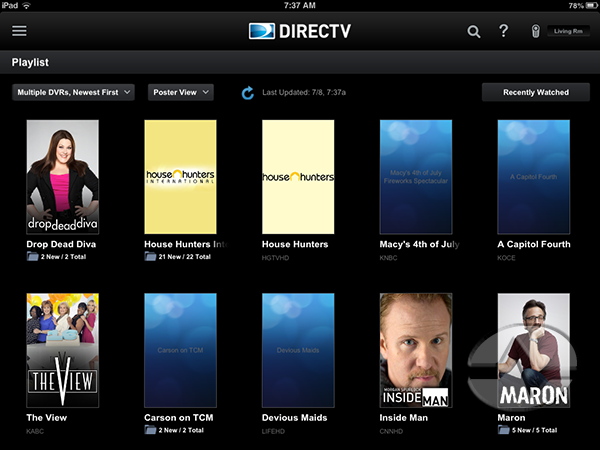 DIRECTV’s App for iPad has been redesigned and it looks better and acts better than it ever has! 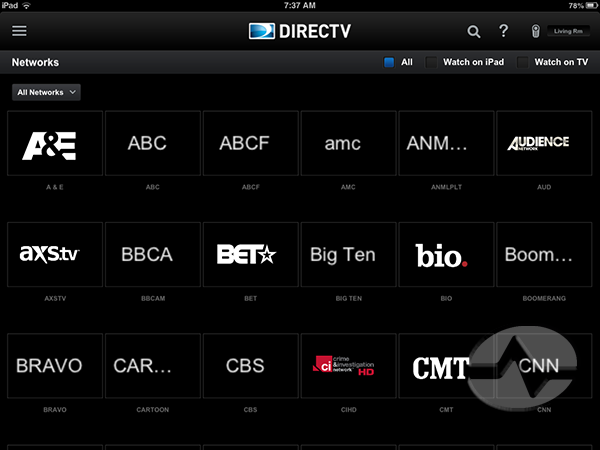 Take all that’s good about the old app — streaming, live TV, on demand, super-duper remote, and DVR manager — and add a clean, contemporary design that fits in very well with Apple’s new flat design idiom. There is a new sidebar (similar to the facebook app) that gives easy access to all the major features. It’s easy to get to by tapping the three horizontal lines at the left. 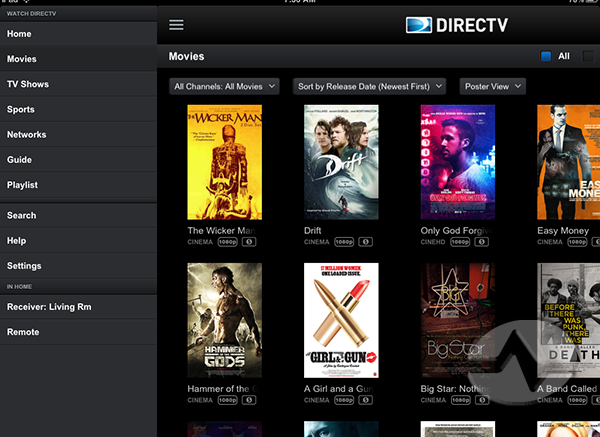 The overall design does away with the blue “bokeh” design that came in with the app back in 2010. One little improvment is that if there is no receiver turned on, it tells you so instead of just doing nothing. One big change is that content has been reorganized so that whether you find it in the guide or in one of the sidebar categories like Movies or TV shows, it’s very easy to see where you can stream or watch the content, with very clear “Watch” and “Record” icons. Adding and changing modules has been simplified. The movie list is simplified and easier to understand. 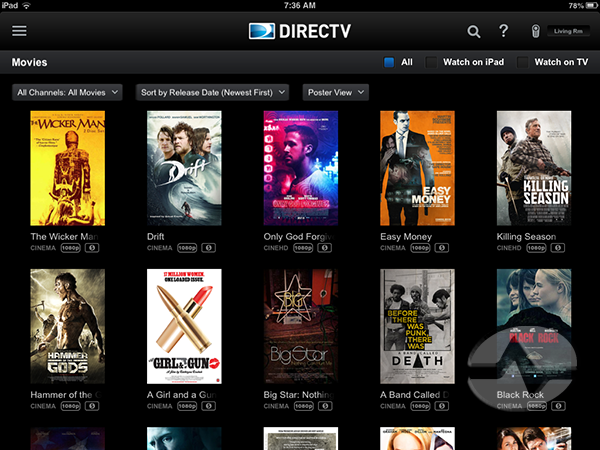 You’ll also see that in every case, you can filter by things that are watchable on iPad or TV. 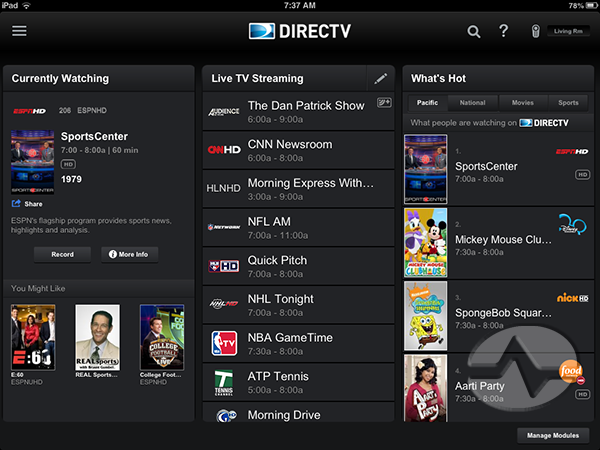 There is an easy-to-browse list of channels available for live TV streaming. Many of them even have channel logos. The playlist display is also simplified, although the generic icons are the same as they used to be. The panes have a fresh new look to them that makes it easy to see what you’re looking at. 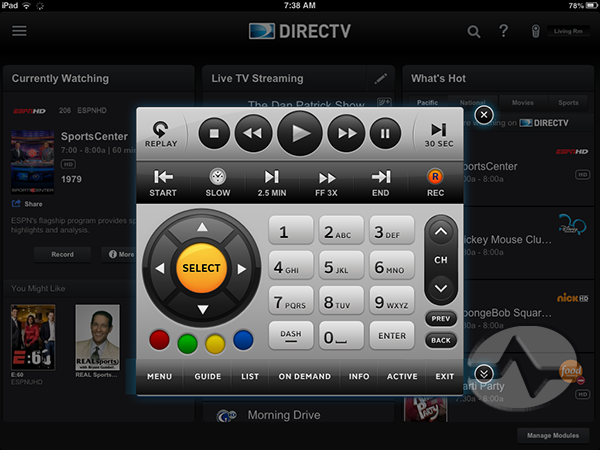 The remote is exactly the same, and this app stays “alive” even when you swap away from it or go to sleep, so it’s easier to use it as a remote. All in all, this is a welcome change. The old app didn’t have anything wrong with it, but the look and feel was getting a little old. It’s a lot more contemporary in this version and should fit in well with iOS 7. 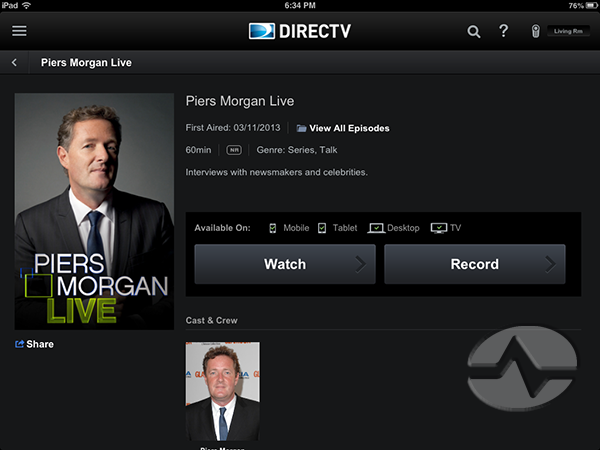 We’re also expecting that the iPhone and Android apps will be updated with this new look, but it’s hard to say when. 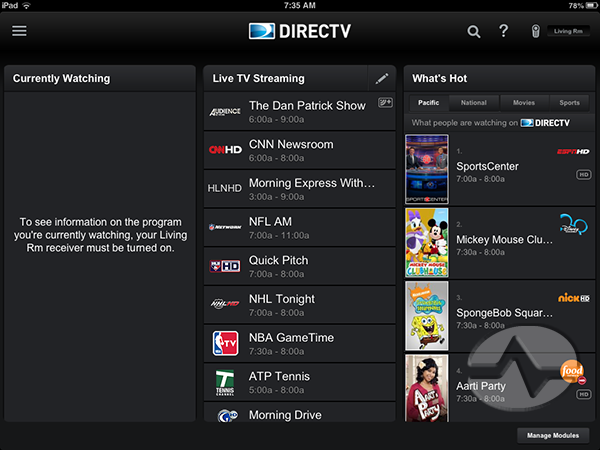 The DIRECTV App for iPad is expected to be available in the App Store on your device today.